Mixed Choral Ensemble from UK, England. VOCES8's career has developed both in the classical choral scene and the world of a cappella. In 2009, the group's first commercial album, EVENSONG, was nominated for a CARA. The group's most recent release, ACES HIGH, is a scintillating collection of VOCES8's unique interpretations of jazz and pop favourites and theme tunes from the legendary James Bond movies and is on general release on the Signum Classics label. The group's latest release on the Signum label is a collection of motets by J. S. Bach. Notable London appearances include the Royal Festival Hall, the Wigmore Hall, Alexandra Palace, Kings Place, and the Royal Opera House, Covent Garden. VOCES8 broadcasts regularly on international television and radio, including live recordings for Deutschlandradio Kultur and Radio France Musique. The British vocal ensemble Voces8 is proud to inspire people through music and share the joy of singing. Touring extensively throughout Europe, North America and Asia, the group performs repertoire from Renaissance polyphony to contemporary commissions and arrangements; versatility and a celebration of diverse musical expression is central to the ensemble's performance ethos. Voces8 has performed at venues such as the Wigmore Hall, Royal Festival Hall, Royal Albert Hall, Bridgewater Hall - Manchester, Elbphilharmonie - Hamburg, Cite de la Musique - Paris, Vienna Konzerthaus, Tokyo Opera City, National Centre for the Performing Arts - Beijing, Shanghai Concert Hall and Mariinsky Theatre Concert Hall. Artistic collaborators have included the Royal Philharmonic Orchestra, period ensembles Florilegium, L'Arpeggiata and La Folia Barockorchester, and violinist/artistic director Hugo Ticciati. The VOCES8 Method is an innovative new system which enhances neurological development, helping to deliver improved academic results. Based on research by the Institute of Education, it contains group activities based on rhythm and melody which are designed to develop key learning skills and improve students' academic learning processes for all subjects. Suitable for small groups or whole-school participation. Requires no musical expertise or expensive equipment. Supported by free online training videos and backed up by CPD training sessions led by members of VOCES8. An interactive app enables students to explore the activities for themselves. Eight songs for eight-part vocal groups. 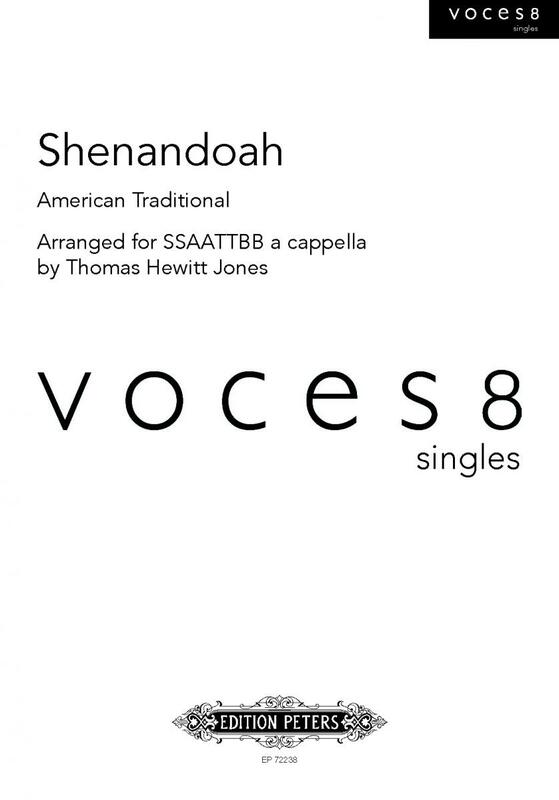 The VOCES8 A Cappella Songbook includes many of the group's favorite songs - ranging from folk and classical through spiritual and pop. 'A Choral Tapestry' explores the rich timbres of sacred vocal music spanning five centuries. Interweaving genres create an ethereal sonic tapestry that centers around masterpieces from Europe's rich choral history. With a dash of danger, a hint of high society and mixture of three parts suave English gentlemen to one part beautiful femme fatale, this is the new album by vocal ensemble VOCES8. Aces High is a thrilling blend of James Bond themes and classic Jazz and Pop tunes. VOCES8 has established itself as the foremost young British a cappella group performing repertoire ranging from early polyphony to unique jazz and popular arrangements. VOCES8 has entertained audiences across Europe, and has been praised for its stunning performance, exquisite singing and a sound that spans the entire range of vocal color. The international award-winning octet Voces8 has established itself as the foremost young British a cappella group. Performing a repertoire ranging from Renaissance polyphony to unique jazz and pop arrangements, the group has been praised for stunning performances, exquisite singing and creating a sound that spans the entire range of vocal color. Founded in 2003 by ex-choristers of Westminster Abbey, Voces8 first achieved success in 2005, winning first prize at the International Choral Grand Prix in Gorizia, Italy. This collection of German choral music for Mirare finds the group in top voice. Songlist: Once in Royal David's City, Gabriel's Message, Magnificat Quinti Toni, O Magnum Mysterium, Away in a Manger, Ding Dong Merrily on High, I Wonder as I Wander, Totus Tuus, Coventry Carol, Jesu, Swete Sone Dear, At the Manger Mary Sings, Videntes Stellam, In Dulci Jubilo, Bethlehem Down, There is no Rose, Nesciens Mater, The Three Kings, What Cheer? 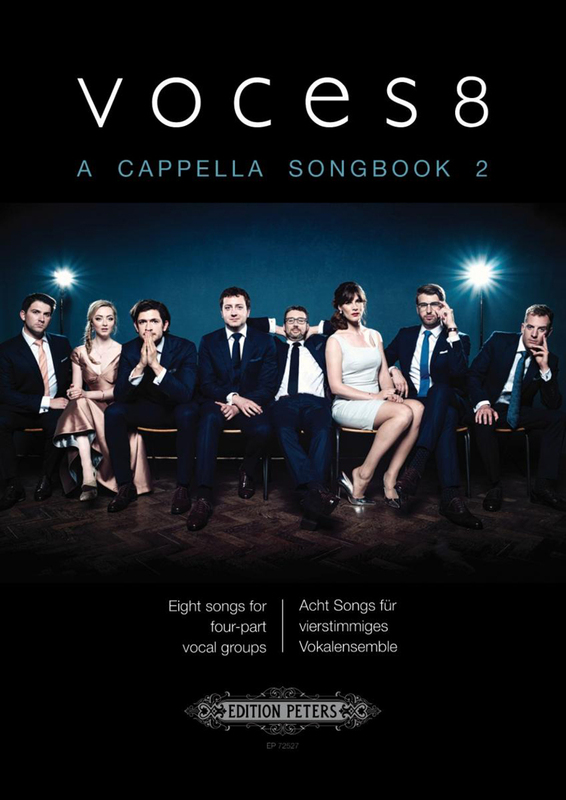 Voces8 has established itself as the foremost young British a cappella group, performing a varied repertoire, from popular and jazz arrangements to early polyphony. The 6-men, 2-women octet performs extensively in the UK, Europe and the US, and has been drawing reviews such as "stunning performance," "exquisite singing" and "a sound that spans the entire range of vocal color." We can only agree with this assessment in every way, and point out that after the octet's recent performance at the ACDA Convention in Oklahoma City, over a hundred people lined up at the PAC booths to buy "Evensong," and only 75 were lucky enough to get one, but we have now managed to get our hands on a bunch more from the group! 12 songs, every one an exquisite gem, so we will simply list them: British composers Ken Howard and Alan Blaikley's title tune, Al Jolson's "Me and My Shadow," Otis Blackwell's jazzy "Fever," "Gabriel's Message" (pop mix), Palestrina's soaring "Magnificat Primi Toni," Nat King Cole's "Straighten Up and Fly Right," Jerry Lieber/Mike Stoller's "Jailhouse Rock," "Good King Wenceslas," Orlando Gibbons' "O Clap Your Hands," Ben Folds' "The Luckiest," Gustav Holst's "Nunc Dimittis" and Leslie Bricusse/Anthony Newley's "Feeling Good." Be it Choral, Vocal Jazz, Pop, Classical Spiritual or whatever genre you'd care to put them in, Voces8 is one of the best a cappella groups we've ever heard. Buy "Evensong," turn the volume up or put on some fine headphones, and enjoy! Voces8 make an extraordinary debut on Decca with Eventide. Eight young singers forming one perfect sound add a contemporary edge in stunning original arrangements from plainchant to Paul Mealor and from Saving Private Ryan to Emeli Sande. The album evokes the magical space between day and night, a time for unwinding, for finding the calm and solace we all seek. Eight perfectly-blended voices interwoven with haunting melodies for solo cello, harp and saxophone provide an immersive sonic experience which will soothe, beguile and inspire. This recording features a selection of pieces spanning over 400 years: from Thomas Tallis and Gregorio Allegri to Massive Attack (Teardrop) and Ben Folds (The Luckiest - which appeared on the soundtrack for Richard Curtis's film About Time). The album title 'Lux' refers to the Latin word 'light,' which has inspired composers throughout history with the meaning of hope, banishing darkness, and nurturing both the body and the spirit. Voces8's celestial performances on the album prove how few can better evoke the power of light in all its physical, spiritual and mystical guises than the timeless sound of a choir. Painting a powerful aural portrait of winter through an evocative choral soundscape. Winter captures the pristine stillness of the season with a meditative, inspiring feeling of solitude and union. Eight exceptional voices are joined by Mari and Hakon Samuelson (violin and cello) performing works by composers from Latvia, Estonia, Iceland and elsewhere. This arrangement of the well-known Basque carol was among the first to be written for us by our Arranger-in-Residence, Jim Clements. Mixing sonorous choral chords with soft accompanying lines, this setting finds both the glory and humility of the Angel's appearance to the Virgin. Such is the popularity of the arrangement that it has always formed an important part of the group's seasonal programming and is recorded on ouralbum, 'Christmas'. This beautiful folk song was commissioned as part of our fifth anniversary celebrations in 2012, and was included in our EP 'In the Beginning' and on our US concert tour. It has always been a fun challenge to perform, with gorgeous flowing lines and a great opening solo for the bass. Our annual visit to sing for friends in the Shenandoah Valley is never complete without a rendition of this arrangement; performing it at Abbey Road Studios was also an unforgettable experience. The composer's poem is based on the early 15th Century Middle English carol 'This Endris Night', that is cast as a discourse between Mary and the infant Jesus, where her lament alternates with his responses on what the future holds. In the arrangement the sacred meaning is combined with the secular tradition of Ember Days, so that it is not clear whether the poem is religious or secular, nor if the poet is expressing personal belief or musing on the passing of the year. The composition worked so wonderfully with the themes of the VOCES8 album, 'Equinox'. 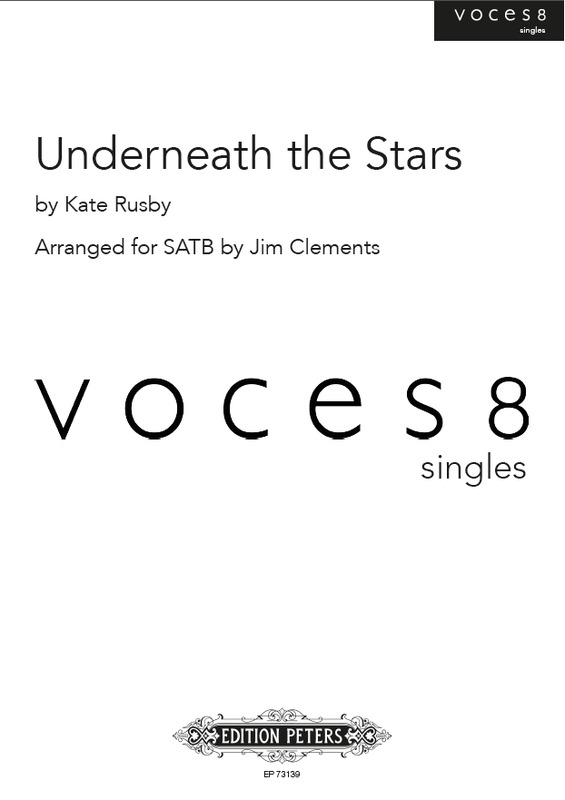 Underneath the Stars, in this beautiful arrangement for SATB choir by Jim Clements, is one of the most requested songs performed by the group. It is featured on the VOCES8 Album 'Eventide' on the Decca Classics Label.